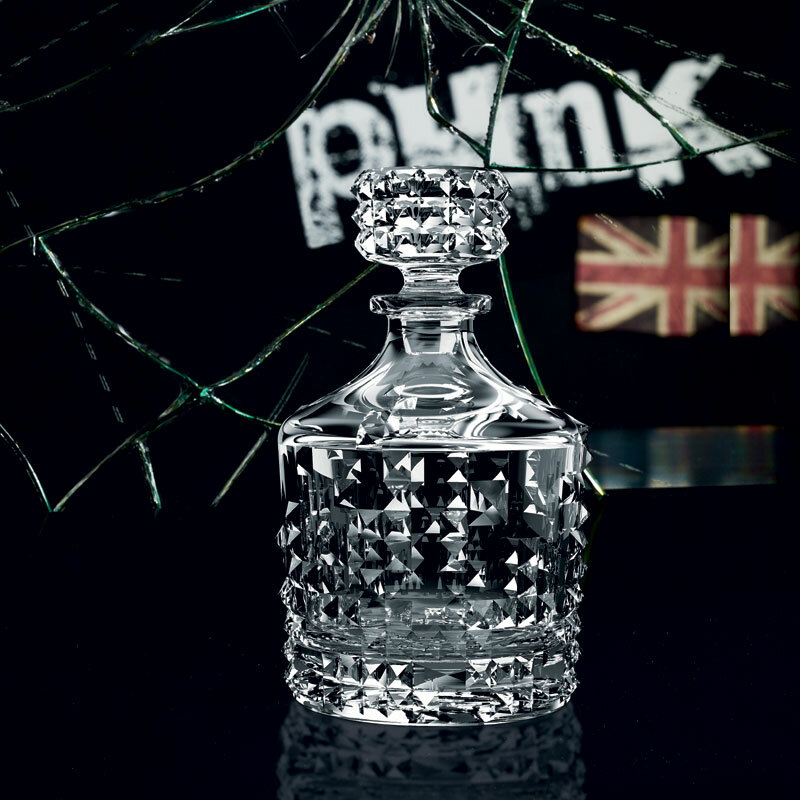 The Nachtmann NextGen line 'Punk' has been developed in cooperation with the World famous arts and design college Central Saint Martins in London, designer Anke Buchmann has celebrated the 40th anniversary of Punk with this eye catching collection. 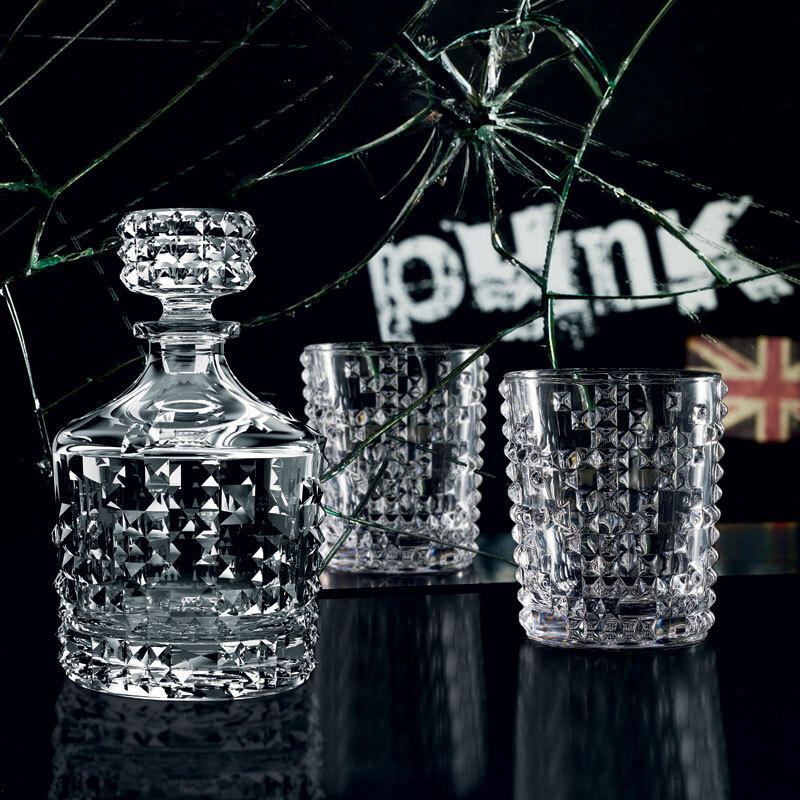 With the UK design and heavy influence of Punk in the UK, this set of unique glasses and spirits decanter will encourage you to feel and play with the tumbler without you even realising! 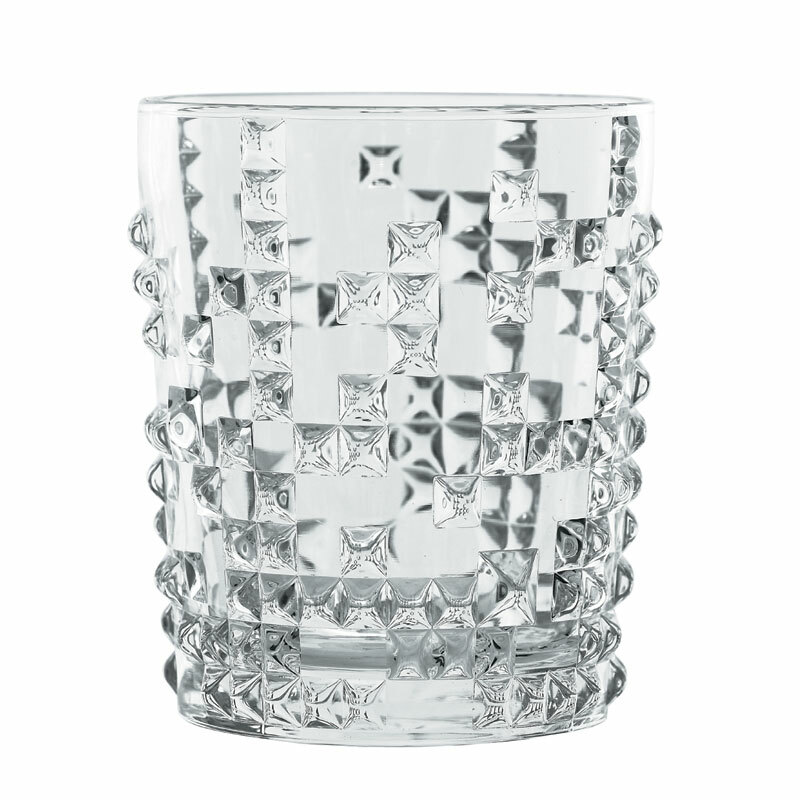 The glasses and decanter feature a very 'Punk' pattern, they're made of high-quality crystal glass and the tumblers create a brilliant sparkling ambiance for table tops, guaranteed to give an elegant and appealing presentation to your beverages. 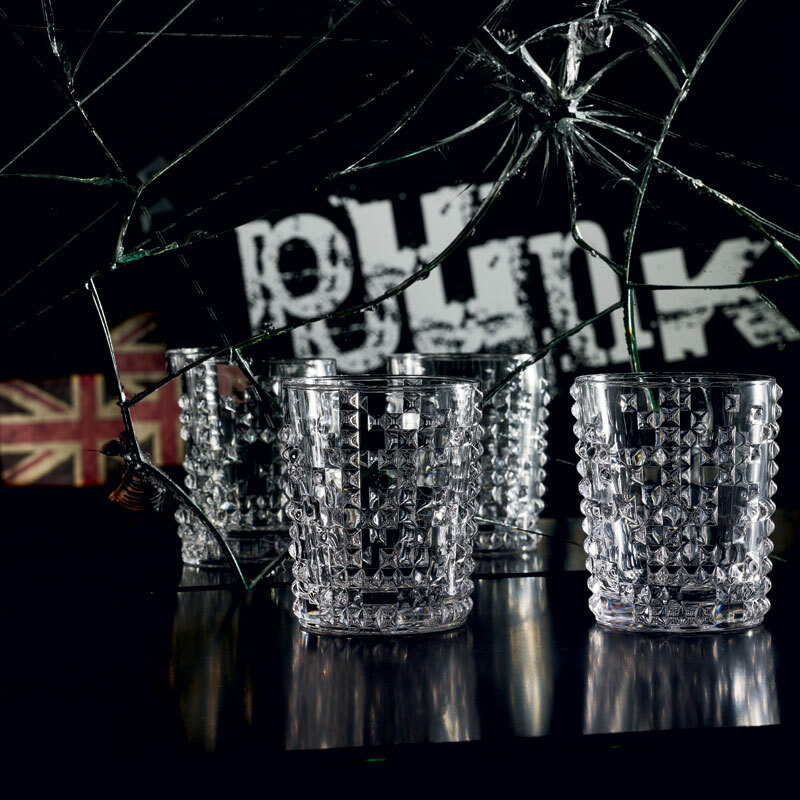 Additional Nachtmann Punk Whisky glasses, Nachtmann Punk Longdrink glasses and Nachtmann Punk Cocktail / Martini glasses are also available. 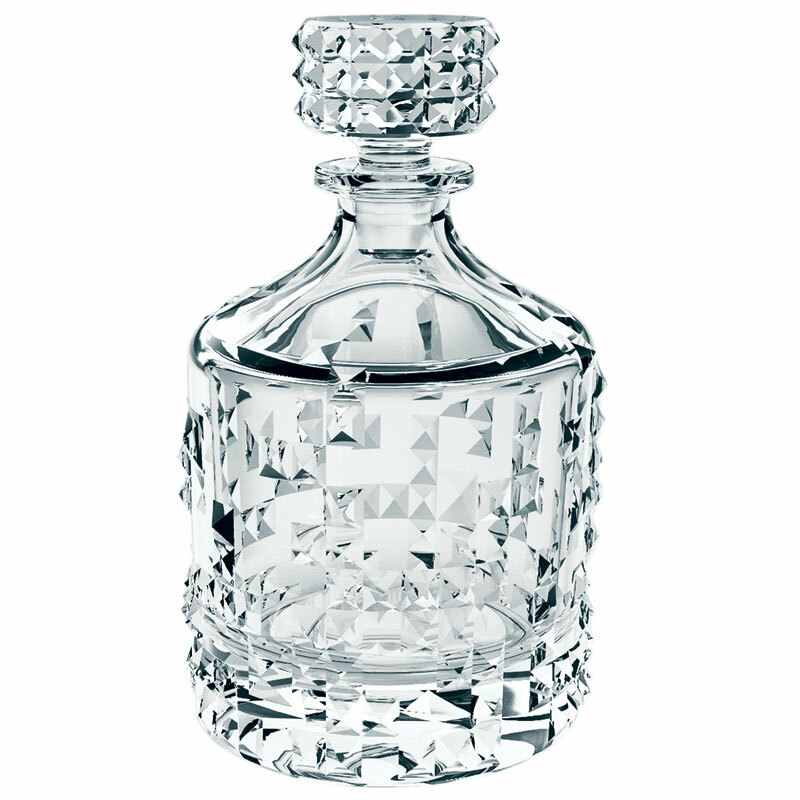 Supplied in photographic classic black box, this 2 glass and decanter set would make for a great gift for a Whisky enthusiast!